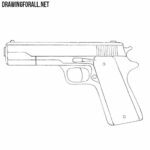 We know that some of our readers love gun drawing lessons. 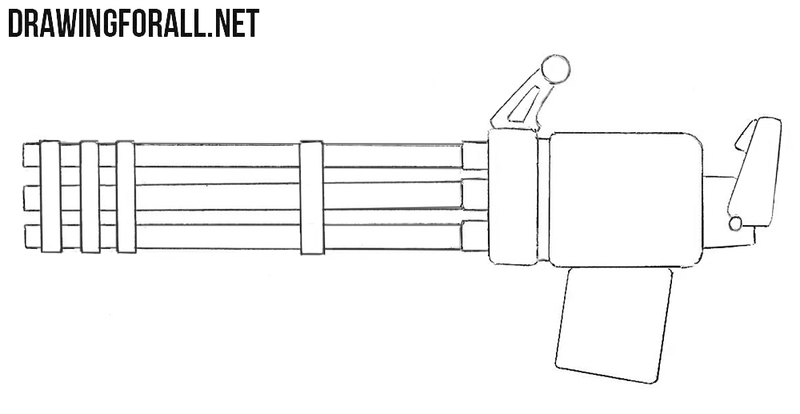 That’s why we did a new drawing lesson for you on how to draw a minigun. 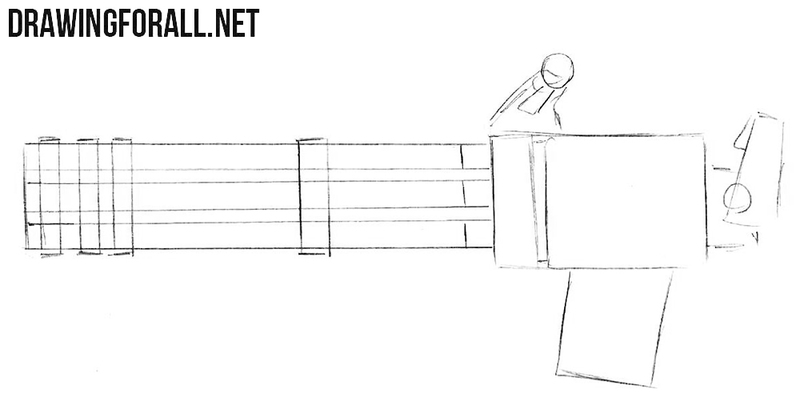 We did not use complex shadows or special angles here, so we hope that this drawing lesson turned out to be simple. 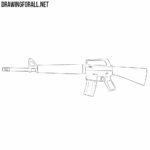 First we draw the contours of this machine gun. 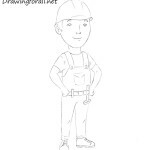 It will be especially cool if you draw this step correctly without the help of the ruler. In this step we need to divide the elongated rectangle into three horizintal lines. 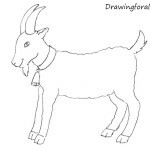 After that, draw 4 vertical short lines as in our picture. We drew the barrels in this step. 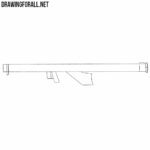 Check your drawing again because the barrels should be straight and parallel to each other. 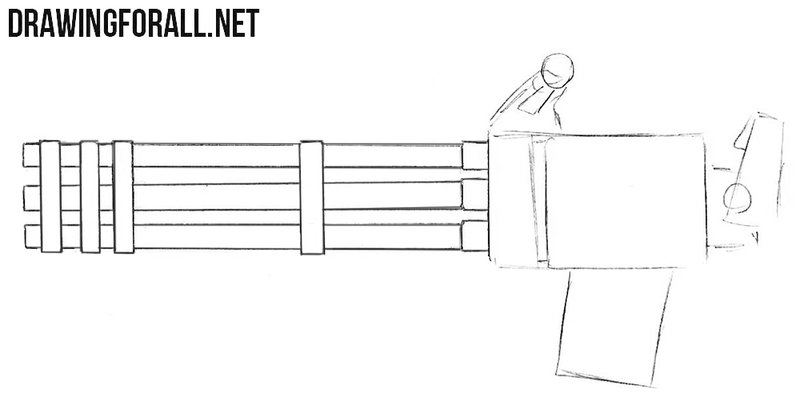 Erase all unnecessary guidelines from the machine gun barrels and add final details. 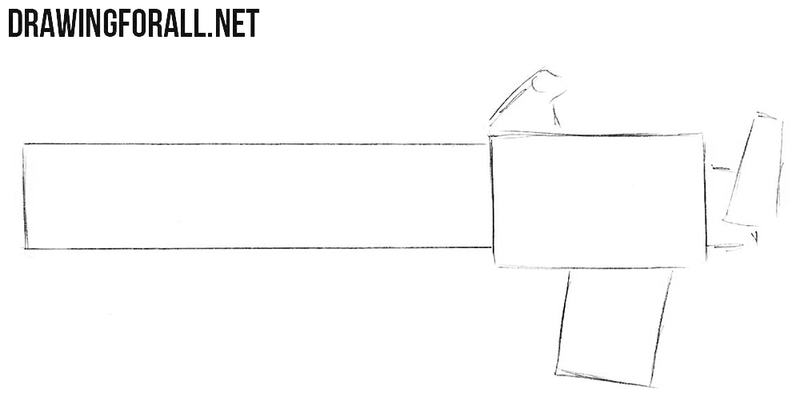 And we have a final step in which we repeat actions from the previous step with weapon handle and rear sight. 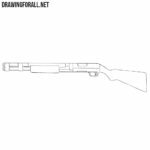 It was the drawing tutorial in which we showed how to draw a gun for beginners. We hope this tutorial will be helpful for you. Stay tuned and goodbye!